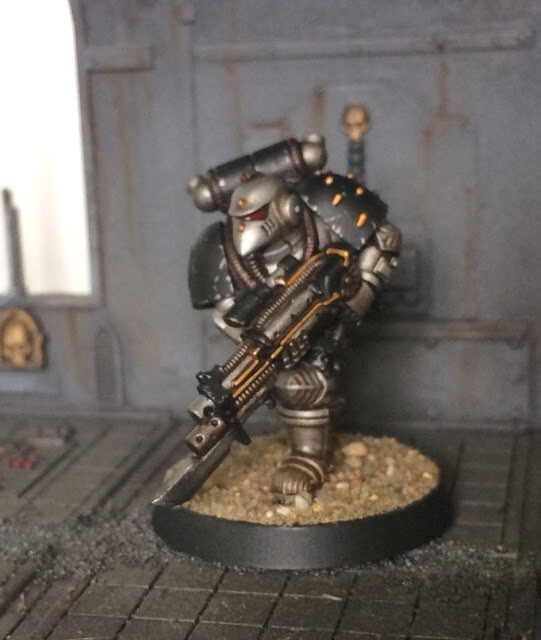 Battle Bunnies: 4th Legion - Iron Warriors. 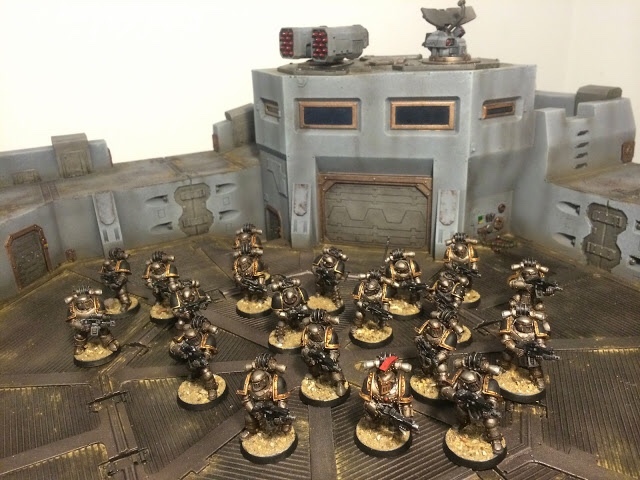 4th Legion - Iron Warriors. 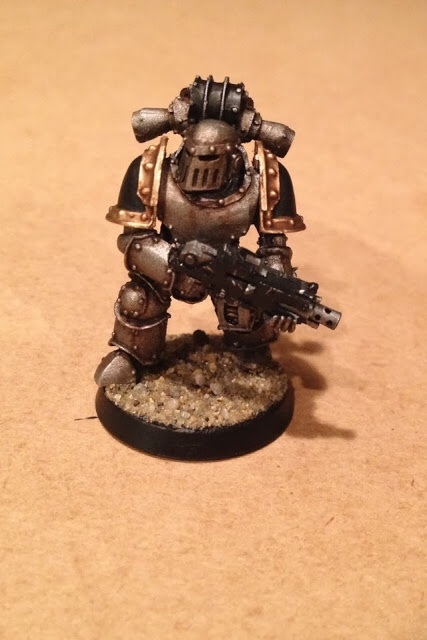 As you may know, I was the first Bunny to begin collecting the Iron Warriors on the blog and within the gaming group. 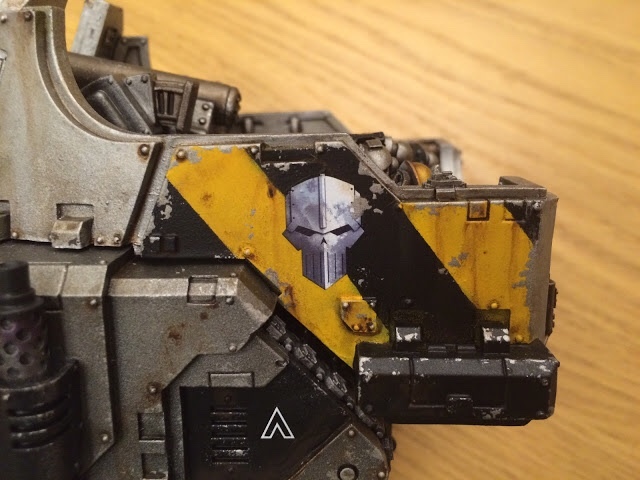 I have always been a fan of the Iron Warriors as they are an island of what would seem to be standard modern and Sci Fi warfare in a sea of "my sword can do it better". In all seriousness, a future where people eschew tanks and cannons in favour of power claws, chainswords and mind-bullets, really is quite far-fetched. So the IV Legion still live traditional warfare. Tank heavy and relatively lacking in any form of close combat specialty, makes for a very easy and pleasing army to collect. The whole "downtrodden and overlooked" vibe also appeals to me as you see it every day in society. So when I set out to collect this Legion I really wanted to make the most of the semi-horde and character free aspect of this Legion. So I immediately aimed to do circa 52 Legionaires in one batch (back in the day of expensive resin armies this felt like lots as you can imagine). 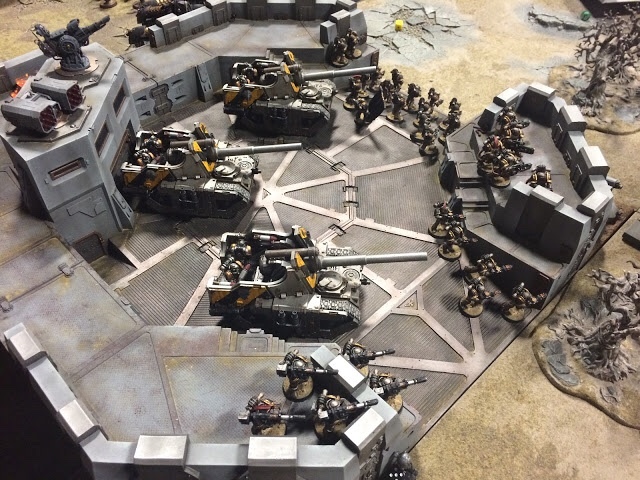 I then purchased 6 tanks and took my sweet time getting them painted (of which only 3 Basilisks are done). 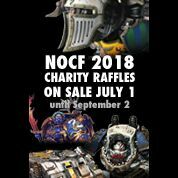 Then I got Perturabo and set to painting him within a couple of weeks of release, as well as Nârek Dreygur (who I like to imagine as Jason Statham). So the force as it stands is sizeable and to a level where I can put the Legion to bed for a while (whilst I deal with some higher priority projects). Now most of this is purchased or in the process of being painted, so it wouldn't take too long to bring to scratch. 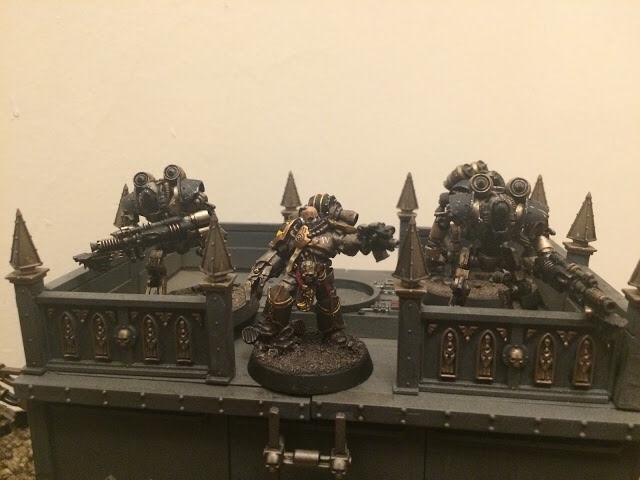 I also would consider 3 Contemptors from the Betrayal at Calth set to add as a force. 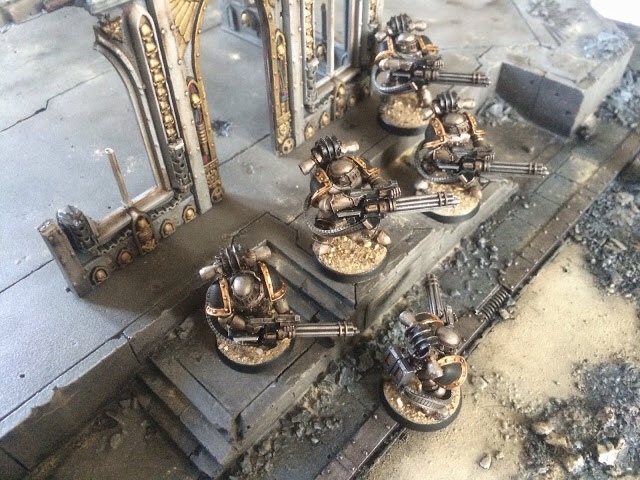 The other thing for me to consider though is; come 8mm Epic, I think the Iron Warriors would be my main Legion. 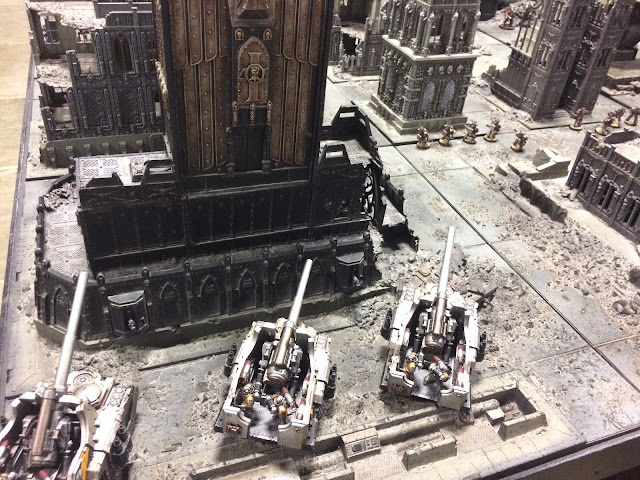 I can already imagine sinking a lot of money into a large force, just to give the Iron Warriors their true impression of an armoured Legion. 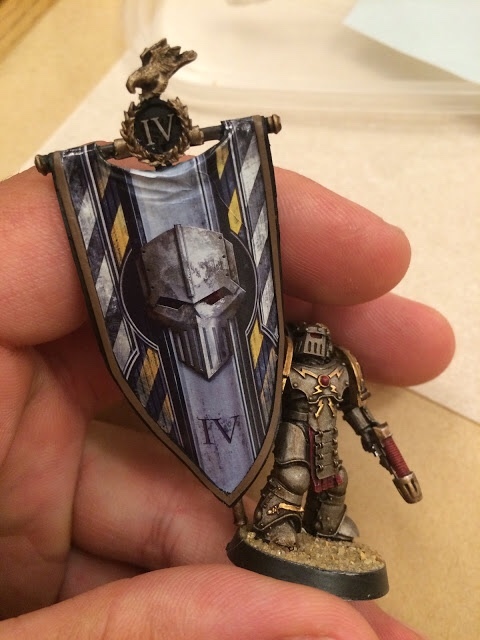 Well reading above, you may be thinking that 2017 will be a slow year for the IV Legion. . . you would be wrong there. 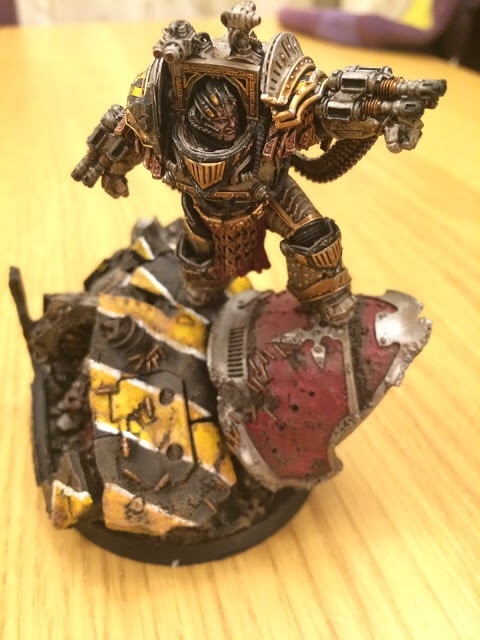 We have a new contributor in the wings who has a stunning looking Iron Warrior force. We are excited about having him join our ranks too. 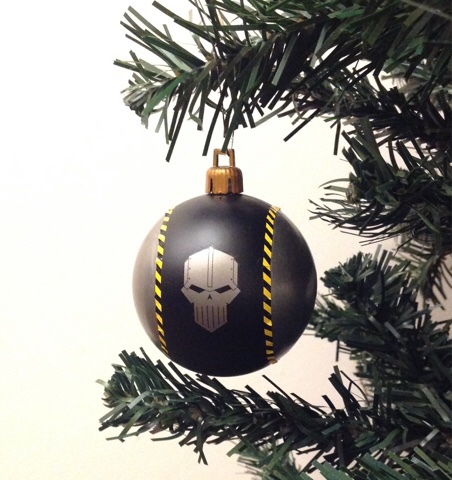 More will be revealed soon. Do you plan to get some superheavy tanks down the line? Yup. As above I have a Falchion and Typhon. They are both half painted. Think they are both the most suitable to the Legion style. The legion looks fantastic! Though I do not look forward to facing Perterabo and his iron circle!! They are going to be very difficult to put down! The points on them!!!! Wow. I haven't even gamed with him yet! Dang.. that would be scary to play against! My legion would become mince meat. That banner is smashing! Great work! Love your work man, definitrly inspiring. Iron Within!